If you have never been out early in the morning, in the woods to hear the dawn chorus now is your chance. 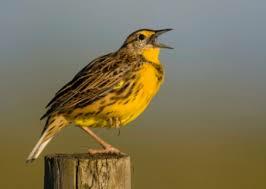 It is this time of year when male songbirds are looking for a mate and in order to attract one they need to sing loudly and with a strong voice! That is why this time of year is just the right time for you to get up early and get out and witness this spectacular event. 4.45am may feel a bit unsociable but the first birds begin to sing about an hour before sunrise. To hear this at its best you have to be up and out early. It’s not about being able to identify individual birds but more about experiencing the beautiful sounds of the dawn. Sometimes it pays to do something a little bit different that will take you out of that usual comfy routine. So why not set your alarm clock and get out and join us for this wonderful experience seeing and hearing Allestree woods in a different light! It will make this a walk to remember. We will cook on site a bacon and egg bap after the walk with a hot drink. If you are vegetarian please bring your own choice of filling or we can just add an egg to the bap. A voluntary contribution of £2.00 per person for the food and hot drink. Gear 2/3. Walking with nature.